There are two broadcast modes where you can invite guest/guests to your broadcast - Interview where you will be one on one with your guest and Talk Show where you can have up to 4 people live at the same time. A clipboard is a holding place on your computer where your link will be stored. To paste and send the link to your guest you can use Command+V combination if you are using Mac and Ctrl+V combination if you are using Windows computer. To send the link, you can use any convenient for you way of online communication: Messenger, email, text message etc. 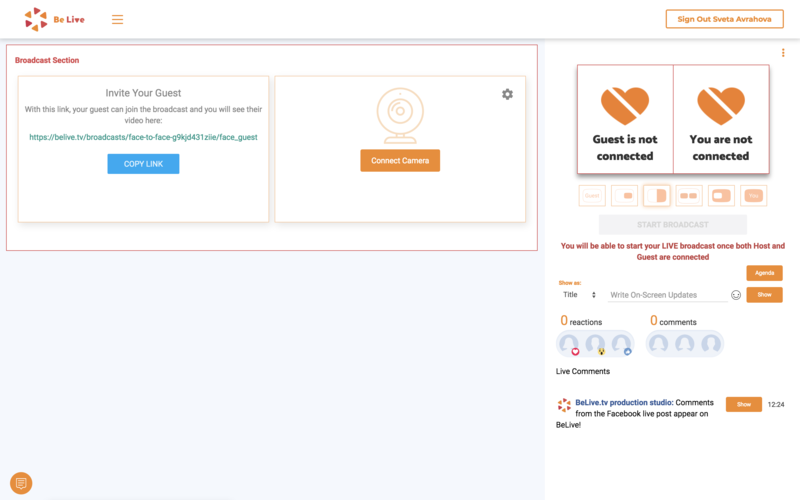 Keep in mind that you won't be able to start Interview broadcast until your guest is connected and that the guest link is unique for every new broadcast you are creating. 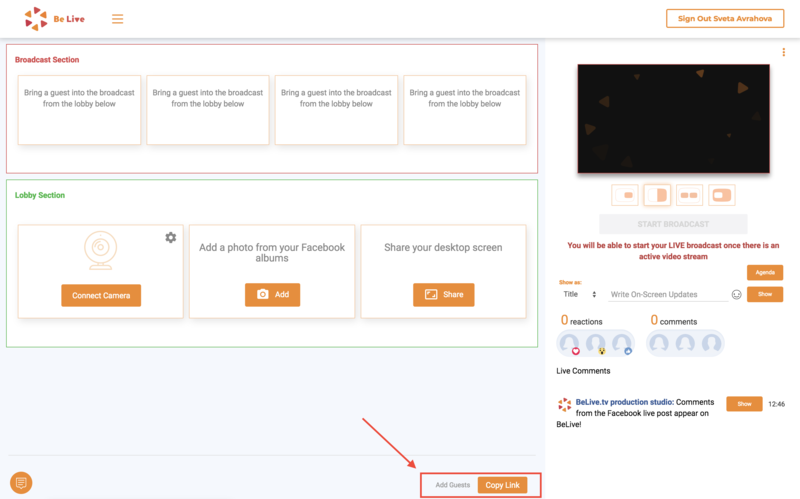 Clipboard is a holding place on your computer where your link will be stored. To paste and send the link to your guest you can use Command+V combination if you are using Mac and Ctrl+V combination if you are using Windows computer. To send the link, you can use any convenient for you way of online communication: Messenger, email, text message etc. In Talk Show broadcast you can have 4 people live at the same time and up to 10 people in the lobby. 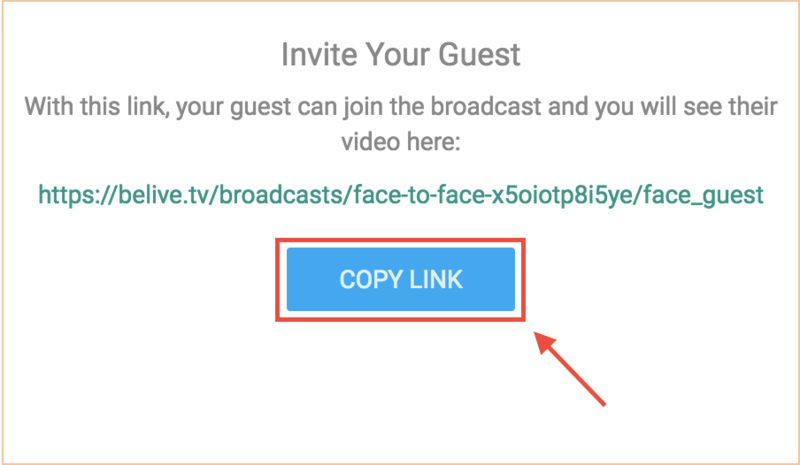 You can you use the same quest link for every other guest in the broadcast, but keep in mind that the guest link is unique for every new broadcast you are creating, but the same for all the guests that are joining one specific broadcast. Feel free to text us to the chat in case you have any more questions!